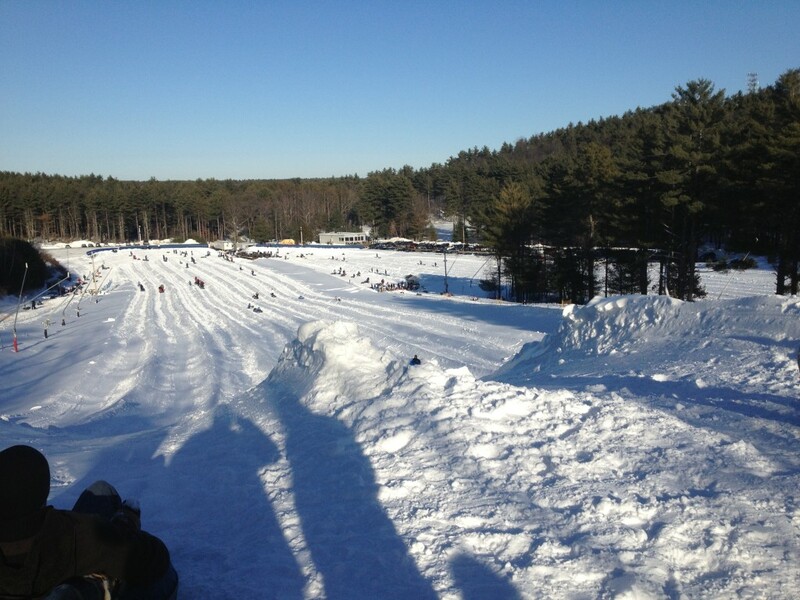 Nashoba Valley Tubing Park (Winter) - Westford, MA - Take a day trip! Nashoba Valley has more than just the ski area – a small hill great for a quick night out or to learn to ski. This is a well maintained and really fun place to take the family for a few hours. They have extensive snowmaking so as long as there has been enough cold weather they should be open and ready for you to go tubing. They have several lanes running parallel to each other and a rope tow to take you up the hill so you don’t have to walk up after your run. 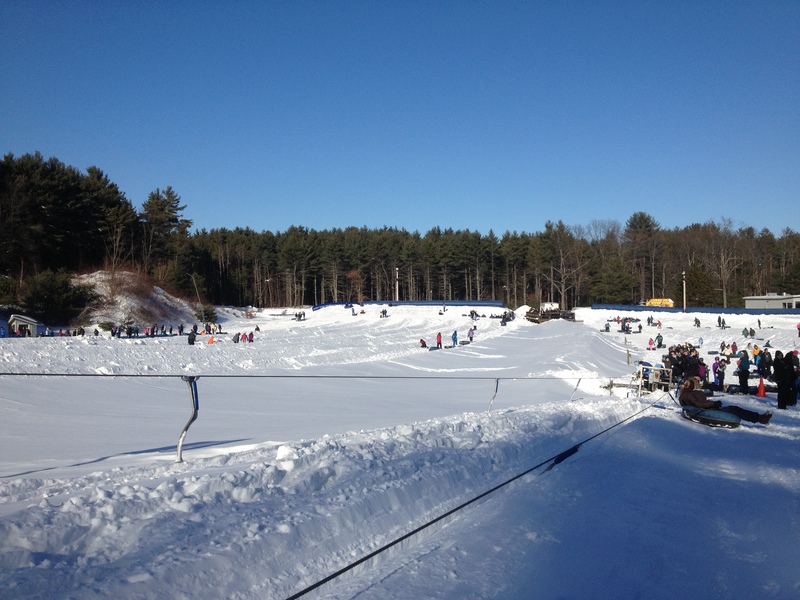 Nashoba Valley’s tubing park is weather dependent and is generally not open until there has been a significant stretch of cold weather. The tubing park opens at 1 PM on weekdays and 9 AM on weekends and holidays. It closes at 10 PM. For the 2013-2014 season prices were $30 for a two hour session with a 6 pack of tickets available for $150. There are also discounts for groups available ranging from $4 per person on weekends to $6 on weekdays. For more information go their groups page where there is contact information for their group sales department. Great Road is Massachusetts Highway 119 and is easily accessed from I-495 exit 31.